Training is an integral part of every organisation and the trainers are at its heart. Their in-depth knowledge of their organisation, of its services and products, provides measurable benefits in areas of employee productivity and efficiency. This highlights the need for L&D in any organisation looking towards its future. So, it makes sense to get it right and ensure your employees are given the best chance possible. 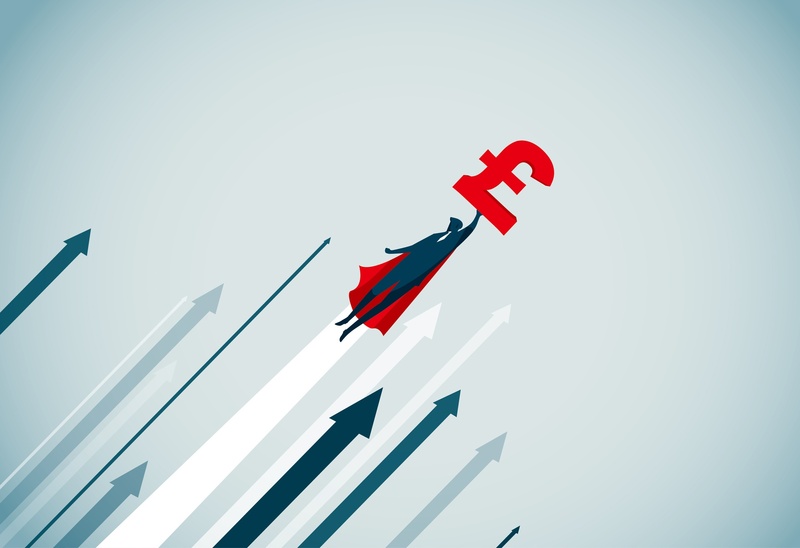 Whether your priorities lie in keeping costs low or reducing workplace accidents, the training you provide should fit your organisation’s unique needs to make sure you achieve your own personal goals. How does Wranx fit into this? Wranx is not looking to replace your existing training. What we offer is a complementary e-learning programme which would work alongside what you already have in place, actively supporting employees’ training long after their initial training session has finished. Think of Wranx as the bonus, the extra credit, the differentiator. Don’t think in terms of ‘Or’ – start thinking in terms of ‘And’. In an ever-developing world, success means offering more than the status quo. Integration should be seen as an opportunity to stay ahead of the competition. In his book Heed Your Call, entrepreneur David Howitt discussed how people often stick to one thing or the other: doctor or musician, actor or architect. However, this one-track approach can limit our maximum potential. The same can be applied to training. Howitt explains that we should instead be thinking in terms of ‘and’, reaping the benefits of multiple options. Wranx can offer your organisation a chance to grow into a better version of itself by letting us help you – by making us your And. Wranx could become the differentiator that puts you ahead of your competitors. Ever heard the phrase, ‘larger than the sum of its parts’? Conventional training is often not the most cost-effective approach, with expensive boot camps, product launches and health and safety training. According to the Association for Talent Development (ASTD), US employees spend an average of 30.3 hours training each year, while businesses spend roughly $1,195 per employee. This cost is justified by the long-term financial value it brings to the organisation. Put simply, well-trained employees present less of a risk. However, few organisations appreciate that this system can improve. That expensive knowledge has an expiration date in the employee’s memory, meaning that (without repetition) the $1,195 per employee is likely to see a swift and drastic reduction in value. The method of one-time delivery fails to consider one key flaw: the human brain. We often forget up to 90% of information only three days after first seeing it. According to psychologist Elizabeth Loftus, this is because we never really learn the information in the first place. It never reaches our long-term memory. Knowing this, it becomes clear that the one-time delivery method of learning is inefficient and ineffective, because it goes against the very biological nature of our brains. Therefore, if training is crucial to an organisation’s success, does it make sense for employees to see the information just once? Wranx is at the forefront of learning development technology, paving the way with an innovative take on established psychological theories in knowledge retention. We redeliver employee training in daily bite-sized questions, reinforcing what they already learned on their training day. At Wranx, we believe that the most efficient way to commit something to memory is to be reminded of it immediately prior to the moment you would have otherwise forgotten it. This is known as Spaced Repetition. In 1885, psychologist Hermann Ebbinghaus developed a theory that explained the relationship between knowledge retention and time. The theory explores a concept known as the forgetting curve, referring to the way the brain slowly forgets information over time when there is no attempt made to retain it. Ebbinghaus’s helped develop a solution called Spaced Repetition. 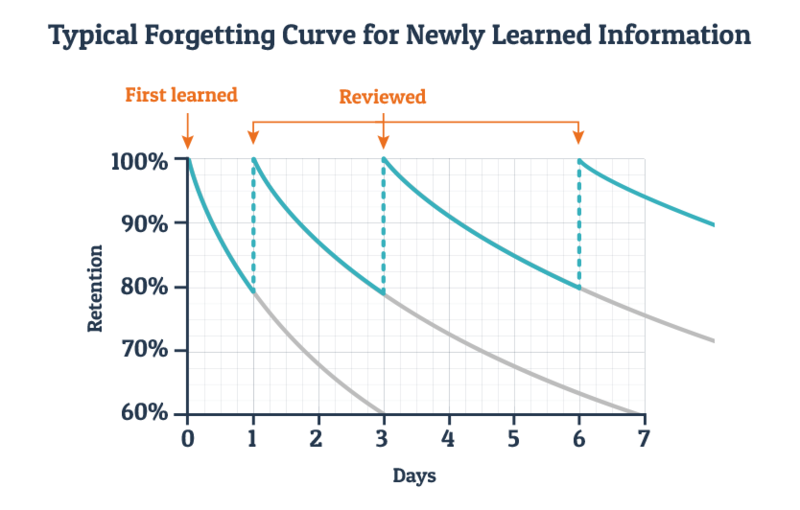 This practice mitigates the effects of the forgetting curve by asking learners to review information at increasingly longer intervals, each subsequent review being right before you were due to forget the information. by increasing the intervals of time between subsequent reviews of information. Research has shown that at least 40% of information is forgotten within three days unless the person is reminded of it. By being reminded in this way, we are able to recall information more effectively, helping it to crystallise in our long-term memories. Company practices are ever changing and the standard method of learning should be doing the same. It must be able to cater for all kinds of technology, as new market niches are emerging all the time. Take the gig economy, for example. Identified as a market with a ‘prevalence of short-term contracts or freelance work’, the gig economy is one of many emerging markets that present several challenges. The absence of a standardised work day can make onboarding and recap training a struggle to provide effectively. For companies like Deliveroo, employees are continually on-the-go and working irregular hours, and therefore need a training method that provides the flexibility and freedom they require. And with over 5 million people employed worldwide within this space, the demand is only growing. The solution? A smarter way of learning. Wranx uses technology-based training to put employees in charge of their own learning. It strips training down into bite-sized chunks (2–3 minutes a day), making the process more enjoyable and less time-consuming. Wranx utilises Spaced Repetition to ensure employees retain the information they have learned more accurately, confidently and for much longer. The improvement to employee knowledge is something you can measure yourself. On our platform, employers are able to monitor learners’ progress. It has built-in validation techniques and real-time reporting, meaning you can check how they’re doing and see which are the areas for improvement. The option of assessments also allows you to test employees on how well they grasped a particular topic. Our Certainty Based Marking (CBM) feature requires learners to indicate their level of certainty alongside their answer. Wranx’s method of learning offers a unique approach, combining established science and innovative technology, with features such as gamification and deep-dive reporting. This formula for e-learning has proven successful with our current users, indicating a clear increase in employee satisfaction and improvements to their knowledge retention when compared to previous learning methods. With the help of our Content Team, we convert your existing training into modules of 50–60 questions, which we deliver to learners at a relaxed pace that helps them remember. Psychologist George Miller’s information processing theory discusses the way our brains are better suited to information that has been broken down into pieces. With this in mind, Wranx’s unique formula is able to deliver effective training that takes up only 0.7% of a 35-hour week. Wranx also offers an enjoyable experience through its user-friendly interface. There is scientific evidence to prove that we learn more effectively when we’re having fun. That’s why we’ve taken care to nurture the more enjoyable elements of our platform, just as much as everything else. For example, the gamification element gives learning a new and competitive edge, encouraging users to improve because they want to. When combined with the daily reinforcement, the benefit of a more playful experience is scientifically guaranteed to help improve employee confidence and satisfaction, and ensure fewer costly mistakes for the organisation. Wranx operates in over 1,700 cities worldwide, helping secure financial success across a range of industries, from retail to pharmaceutical. This extensive range is testament to the fact our product is applicable and adaptable to any organisation, able to work towards achieving their unique goals. We have helped our clients achieve not just their personal goals but esteemed accolades as well. Most recently, our client Tata Steel Europe won the 2018 Steelie Award for excellence in education and training. Through collaboration with Wranx, their employees continue to receive a higher level of training that is being recognised globally. Cases like these are not uncommon. The North Face® started using Wranx with the aim of reinforcing areas such as product knowledge. The results have been overwhelmingly positive, with reports that the training made employees more confident. This led to a noticeable improvement in customer experiences, as they associated a higher level of product knowledge with helping their decision to make a purchase. 96% of users found Wranx extremely or very easy to use. 86% of users felt using Wranx would help them improve in their role. 80% found our method of learning extremely or very beneficial. You can check out more of our success stories by visiting our website. How can Wranx work for your organisation? Above all, Wranx’s greatest quality is that it has something for everyone, having worked with organisations from every inch of the market spectrum. The flexible nature of our product means that it can be adapted to cater for each client’s specific needs and goals. Whether the focus is on promoting compliance, workplace safety or saving money through better practices, Wranx can tailor its service to achieve your particular brand’s version of success. With our deep-dive reporting and option to test learners with assessments, the choice to incorporate Wranx as part of your programme would allow for accurate measurement of your employees’ progress, both to reward successes and highlight specific areas for reinforcement. The support that our training provides would encourage engagement and promote long-term knowledge retention that conventional one-day training alone is lacking. Thinking back to David Howitt’s Heed Your Call, it is important to see Wranx as your potential differentiator, not your competitor. By thinking in terms of ‘and’, we can complement your existing training and help extract greater value long after the initial session has ended.